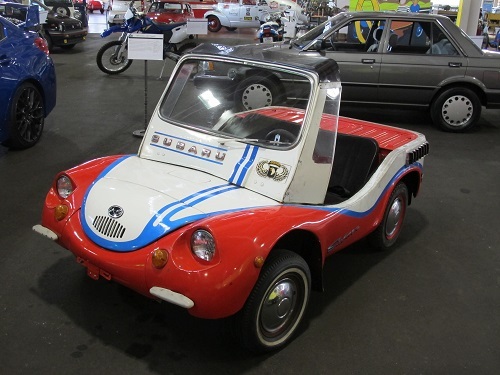 Mort Smit was a Subaru 360 enthusiast that built this special car he called “Peanut”. Mort retired and converted an old Greyhound bus into a motor home to travel in. He wanted to have a car to drive when he was parked at different campgrounds, but did not want to tow a car behind the bus. 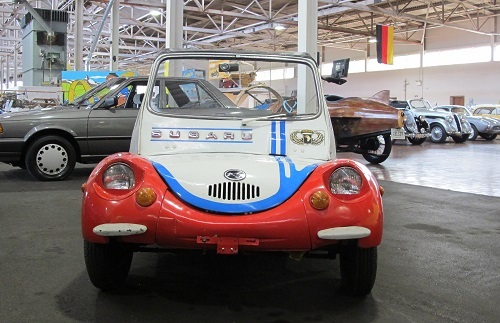 His solution was building this special Subaru 360. The luggage compartment of a Greyhound bus is 30” high and 60” wide. 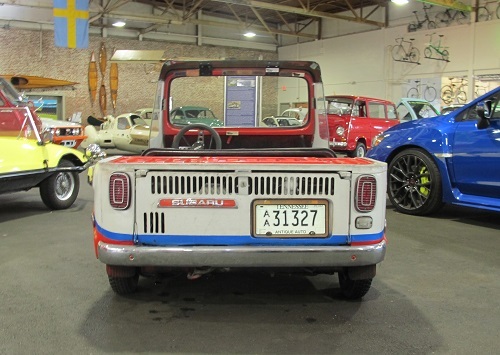 Mort took the back half of a Subaru pickup and welded the front half of a Subaru 360 car onto it. He also had to modify the front of the car to make it lower. 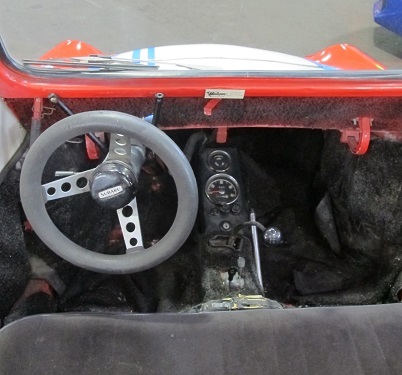 The windshield folds forward and the steering column collapses into the seat. Manufacturer: Fuji Heavy Industries, Ltd.